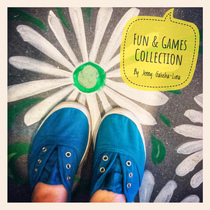 Fun & Games Collection coming Summer 2019! This 4 pattern collection will feature 2 knit and 2 crochet designs to help you craft during the summer. Each pattern will release monthly. Check back at the end of April for the first release!